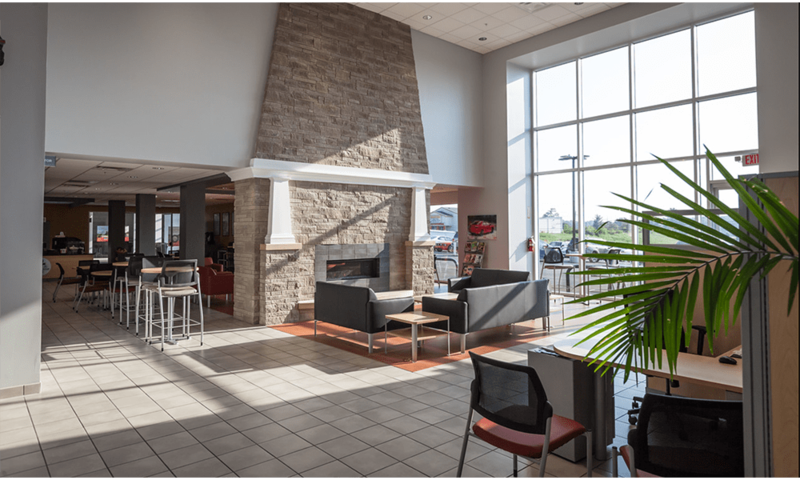 The Cafe at Swope Toyota, nestled by a fireplace looking out over Freeman Lake, where anyone can come and enjoy Breakfast, Lunch, and daily specials. 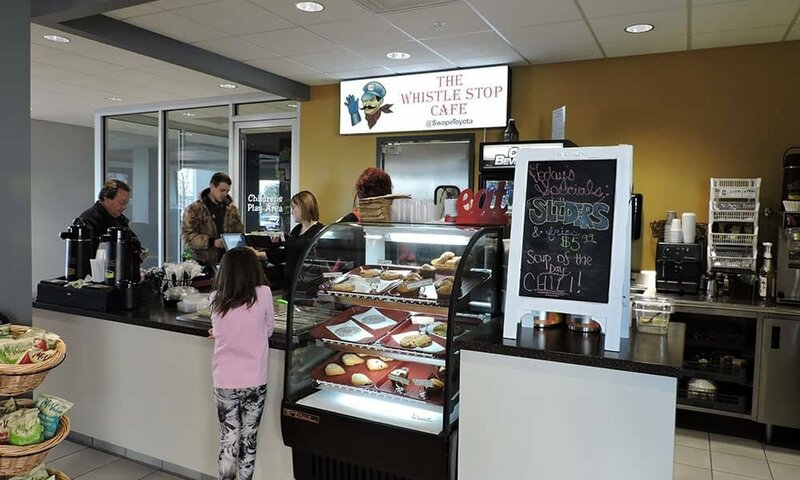 Enjoy our Cafe favorites with new Menu items, Specialty Coffee drinks, and some of our delicious desserts or ice cream. Open Monday through Saturday. You don’t have to come here just to buy or have your car worked on. 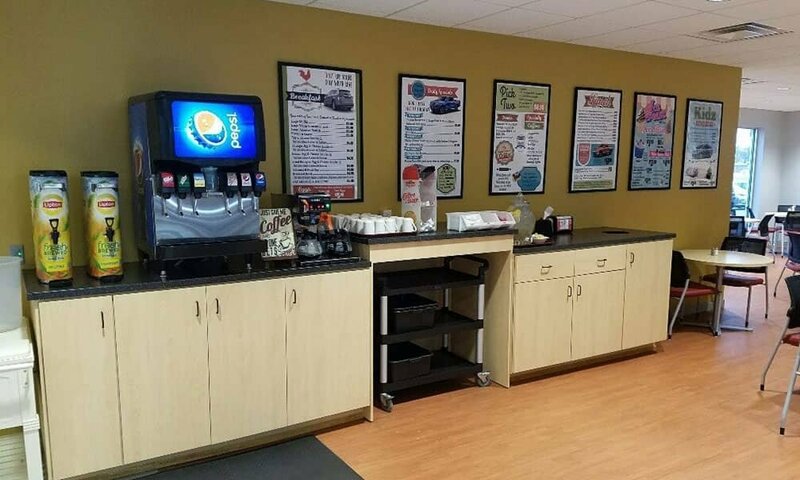 While this is a state of the art Toyota Dealership, you are welcome at our Cafe and Swope Toyota anytime, to simply come eat or have a cup of coffee! 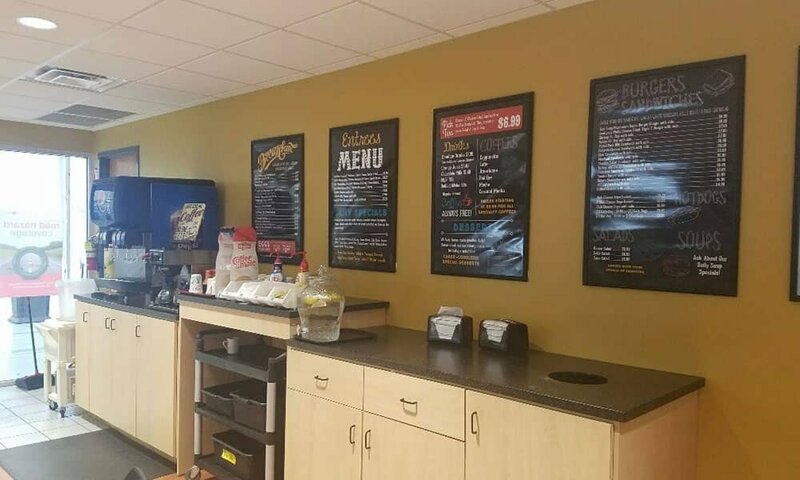 *Due to supply – Menu items and pricing are subject to change. 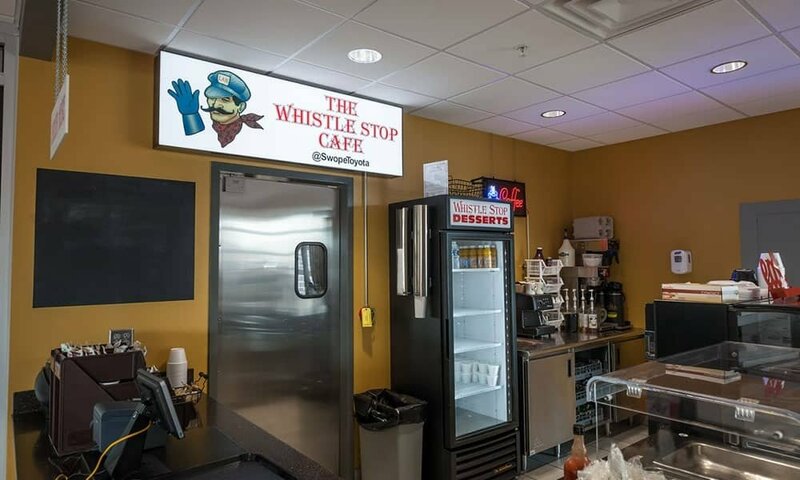 *Limited menu includes desserts, ice cream, milk shakes, specialty coffee and pastries. 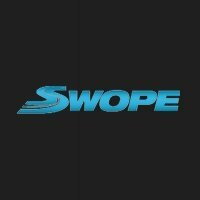 We were very favorably impressed by both the quality of the food and the helpfulness of the staff. THEIR GREEN BEANS ARE THE FUNK! Probably better than my granny’s! Unique family atmosphere right in the heart of Elizabethtown. 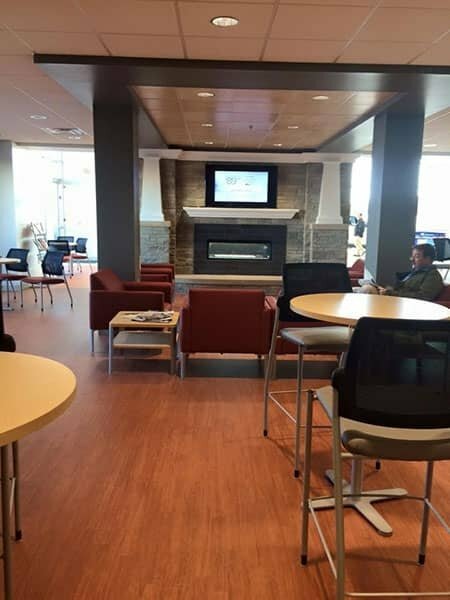 The cafe' looks over our beautiful Freeman lake. I recommend this hidden gem to everyone.